Greg Chaillé and Kristin Anderson pump up the virtues of giving time and/or money. There are SO MANY charities looking for help, either from money or volunteers. And now there is a book that gives a broad picture of the situation in the state of Oregon. 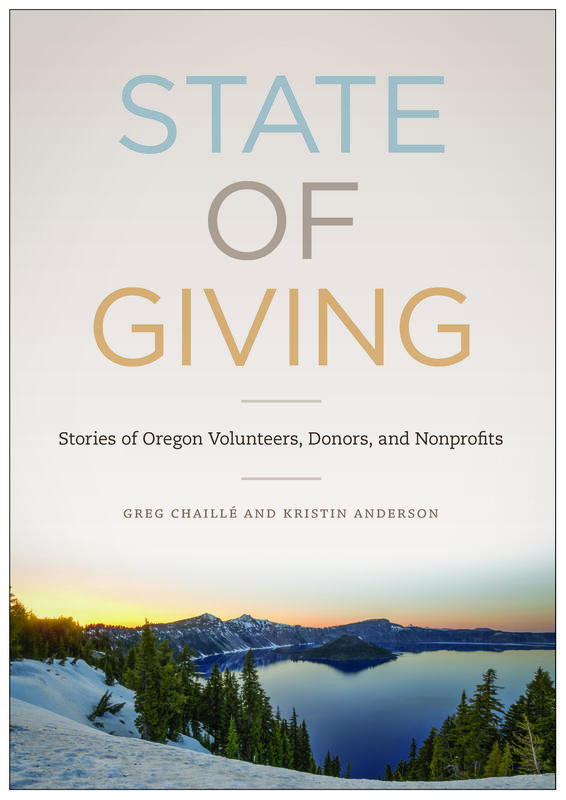 State of Giving: Stories of Oregon Volunteers, Donors, and Nonprofits is a description of current conditions and a manifesto for greater civic engagement. Authors Greg Chaillé and Kristin Anderson visit with details. Additional link: a web companion to the book, for sharing stories about volunteers and nonprofits and more.